Keith Boger | T.L. 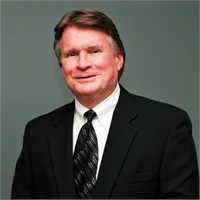 Phillips Financial Group, Inc.
Keith is a 1973 graduate of Purdue University's School of Engineering, and he enjoyed a 20-year career in data processing management prior to becoming a financial advisor in 1993. Since changing professions, he has not only obtained a variety securities and insurance licenses, but has also earned numerous specialty designations over the years. Today, he serves hundreds of clients all over north Georgia, and other areas of the US. As a dedicated financial professional, Keith helps his clients navigate through all seasons of their lives. Being an independent advisor and agent allows him to truly custom tailor and personalize each client's advice. Most of his clients are preparing for retirement, or already retired, and they need prudent advice for the financial challenges they face during the senior years. Keith devotes considerable time to educating himself on current products and strategies in order to offer the best solutions to meet his clients' needs. In addition to serving his clients, Keith is also very active in community and church. His involvement has included United Way, Habersham County Chamber of Commerce, Habersham Community Theatre, Rotary, Clarkesville Business and Community Association, Trinity Classical School, North GA Christian Academy, Habersham Soup Kitchen, Breaking Chains Ministries, Habersham United Believers, and church elder. Keith and his wife Nancy have been married for over 28 years, have lived in Clarkesville, Georgia since 2000. In his free time, Keith can be found on the golf course, in the woods turkey hunting, or in the kitchen whipping up a gourmet meal. Securities offered through Securities America, Inc. Member FINRA/SIPC. Advisory services offered through Securities America Advisors. T.L. Phillips Financial Group, Inc.is not affiliated with the Securities America companies.